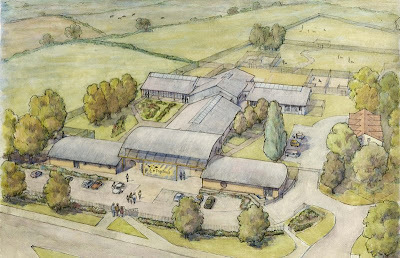 Dogs Trust is soon to have its 18th Rehoming Centre, and the first International site, with the creation of a state of the art complex in Dublin. TV style guru Lisa Fitzpatrick is today helping us mark the start of work on the new site, which is the next stage of our work in the Republic of Ireland, which began in 2005. The aim is to bring an end to the destruction of stray and abandoned dogs through a national neutering campaign, an education programme and, of course, the new Centre. Over 12,500 stray and abandoned dogs were destroyed in Ireland in 2007 for want of a good home. That’s the equivalent of 34 dogs every day. The new Dogs Trust Dublin which will care for over 1,000 stray and abandoned dogs from all over Ireland every year. Located north of the city, (near junction 5 of the M50), the centre will provide everything an abandoned dog needs to get him back on his paws again including the love of our specially trained staff. The Rehoming Centre will be conveniently located off the Ashbourne Road so it will be easy to get to from both North and South of Dublin. Dogs Trust will provide regular updates over the year on progress. Meanwhile, check out the picture above of the plans to get an idea of what to expect. *Surgical suite: Building a fully equipped vet suite will cost £180,000. Can you help us raise the funds? If you want to contribute towards the building of the new suite, you can do so by simply making a donation on the Dogs Trust website, choosing "Dublin appeal" from the dropdown to ensure your money goes directly where you want it to. There is also a link to this appeal on our Facebook Page. The dogs in our care thank you for your generous support.